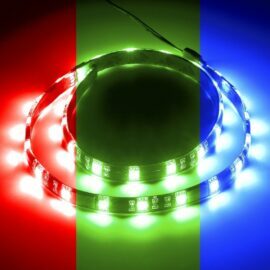 The LED revolution continues with CableMod WideBeam™ Hybrid RGB/W LED Strips. 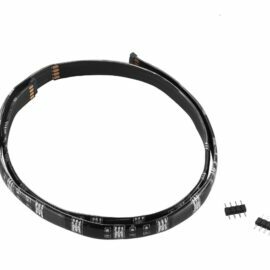 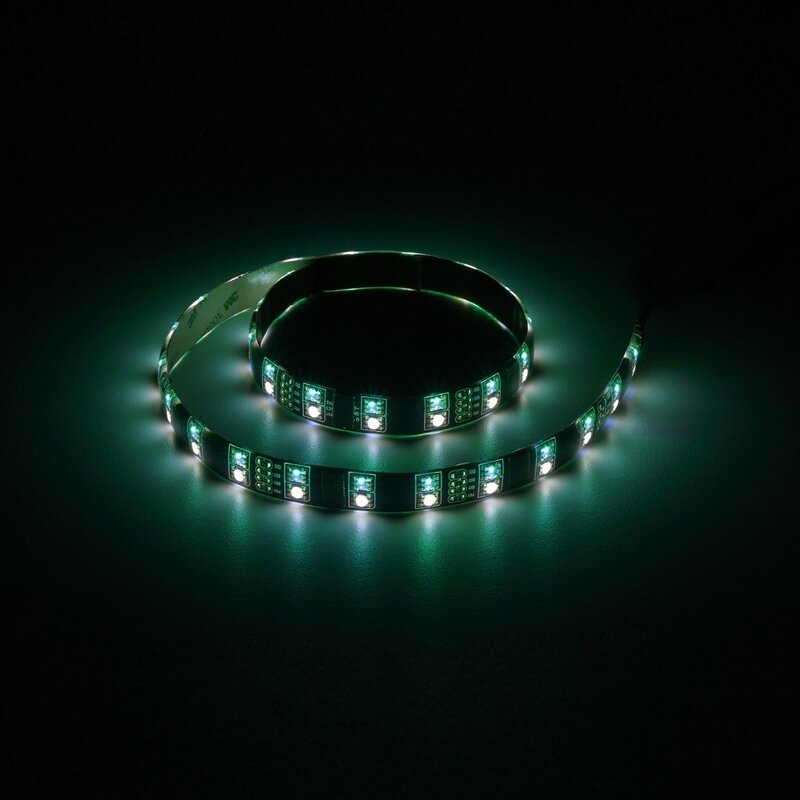 By combining both RGB and white LEDs on a single strip, WideBeam Hybrid RGB/W LED Strips deliver the flexibility of RGB with dedicated white LEDs. 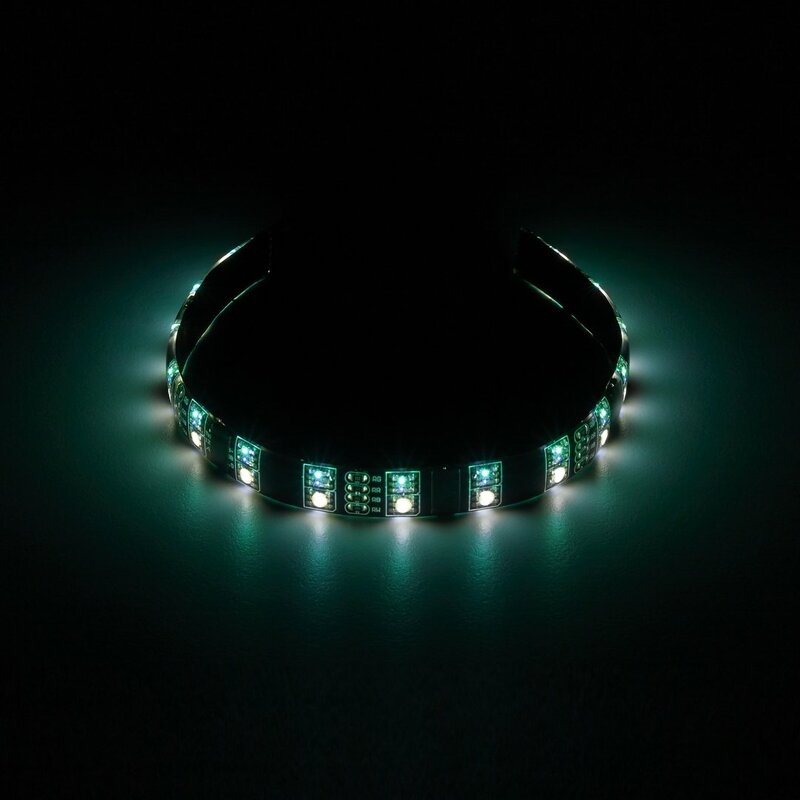 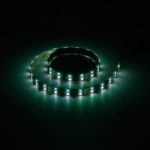 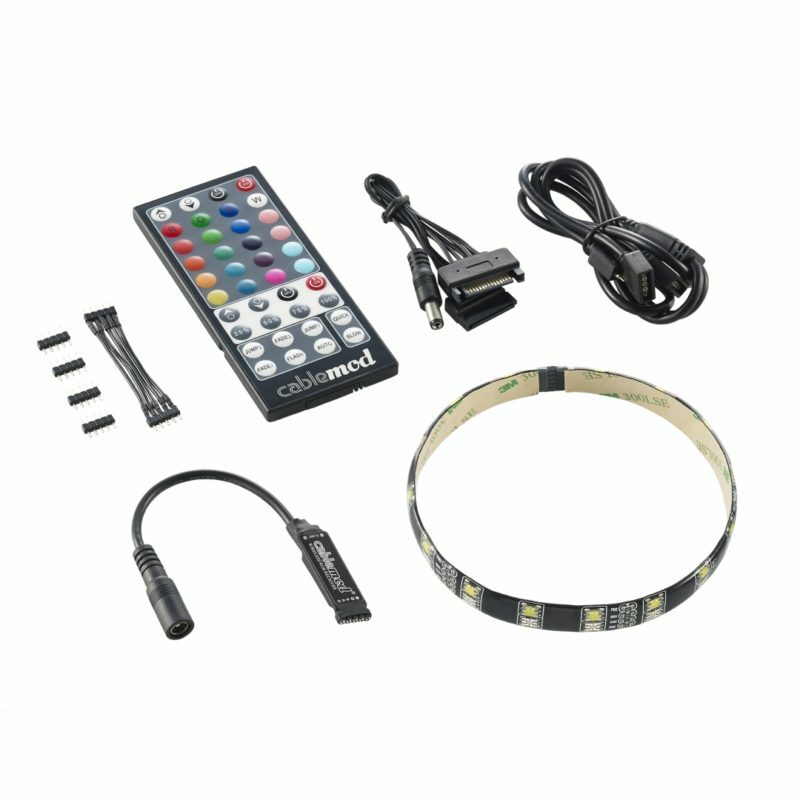 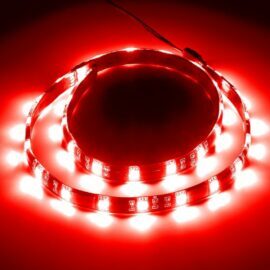 Compared to other RGBW solutions on the market that utilize combination RGBW LED bulbs, CableMod WideBeam Hybrid RGB/W LED Strips offer brighter, truer whites, making them a superior lighting solution. 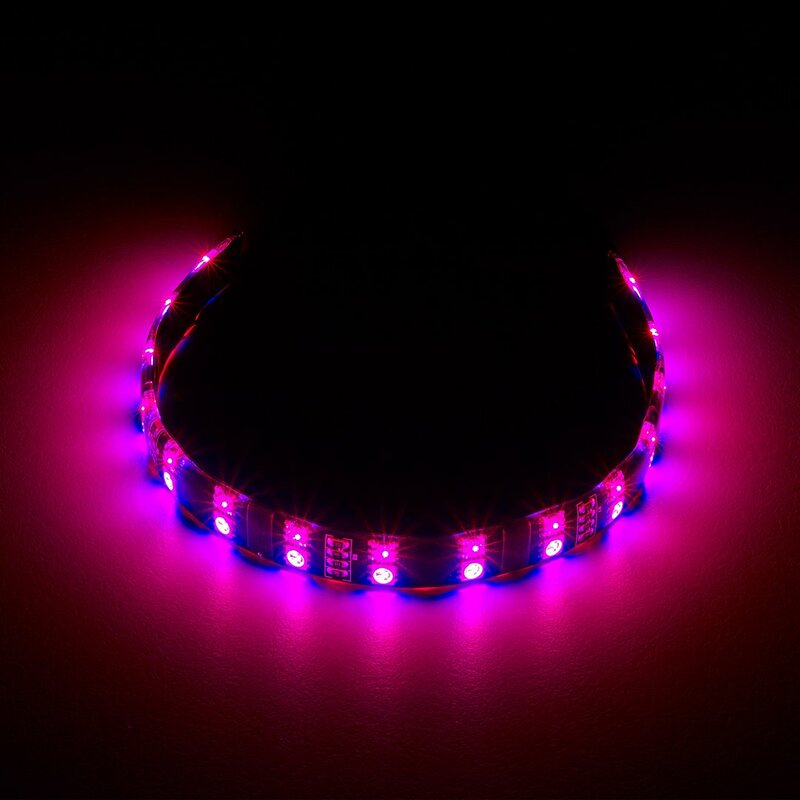 What’s more, these LED strips are compatible with GIGABYTE® RGB Fusion Technology, so you can sync up your system’s color scheme right out of the box. 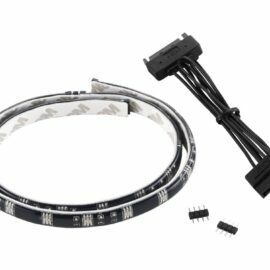 To adhere to a wide range of surfaces, CableMod WideBeam Hybrid LED Strips also come with two different adhesives. 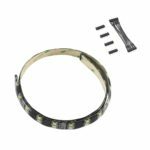 Strong rare-earth magnets embedded underneath the waterproof coating allow these strips to adhere effortlessly to magnetic surfaces like steel PC cases, and for cases that are non-magnetic, a super-strong 3M adhesive is also included. 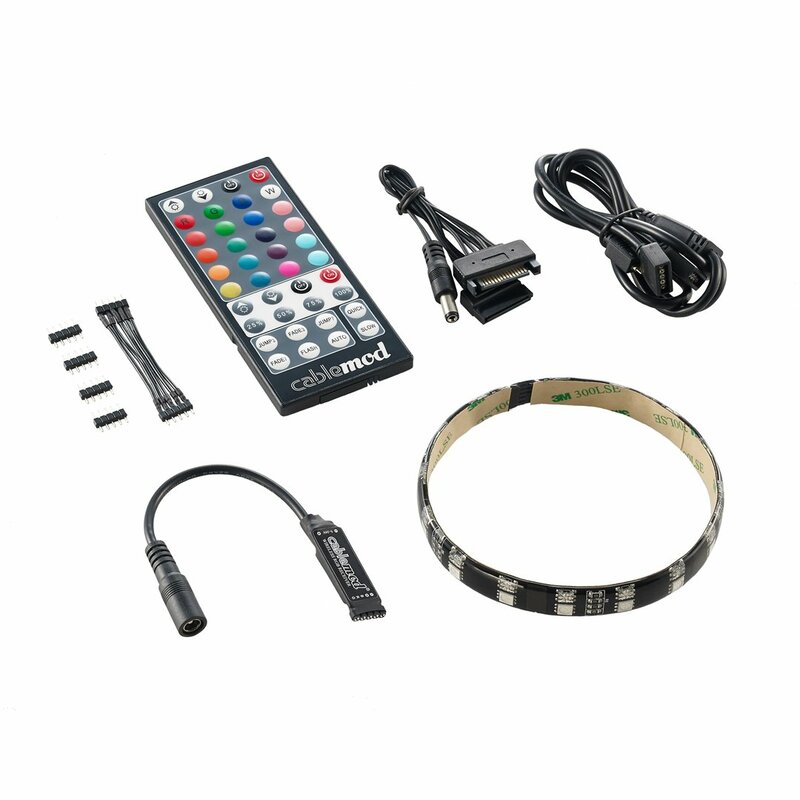 NOTE: This product requires a CableMod WideBeam Hybrid LED Kit or GIGABYTE® motherboard with compatible 5-pin RGB Fusion header to work.